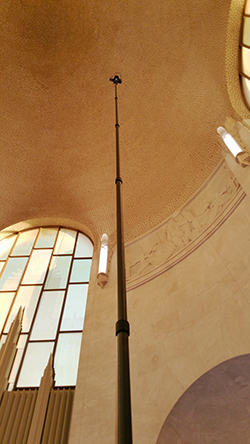 In late 2015, we did this project for The ANZAC Memorial, Hyde Park Sydney. RSL requested a Gigapixel from the Memorial’s Great Dome of Stars, to celebrate the 100th anniversary of the First World War. This project is part of a public fundraising campaign which replicated an original campaign that allowed the building finalization, back in 1934. The idea is to sell the Stars in a 360° photograph of the dome. Purchasers are able to tag their star and leave a message in memory of a veteran in this online Constellation of Honour and Memory. 81 years later, the funds raised will be used to new interpretive and education programs, heritage conservation and exhibition content, so that the Memorial is able to continue to play its vital role in telling the stories and sharing the history of NSW’s involvement in military operations. Panedia did this project in a record time, shooting the complete gigapixel 9 meters high on top of a Nodal Ninja carbon fiber pole and using a Seitz Roundshot VR Drive in less than 2 hours from setup to packing up. 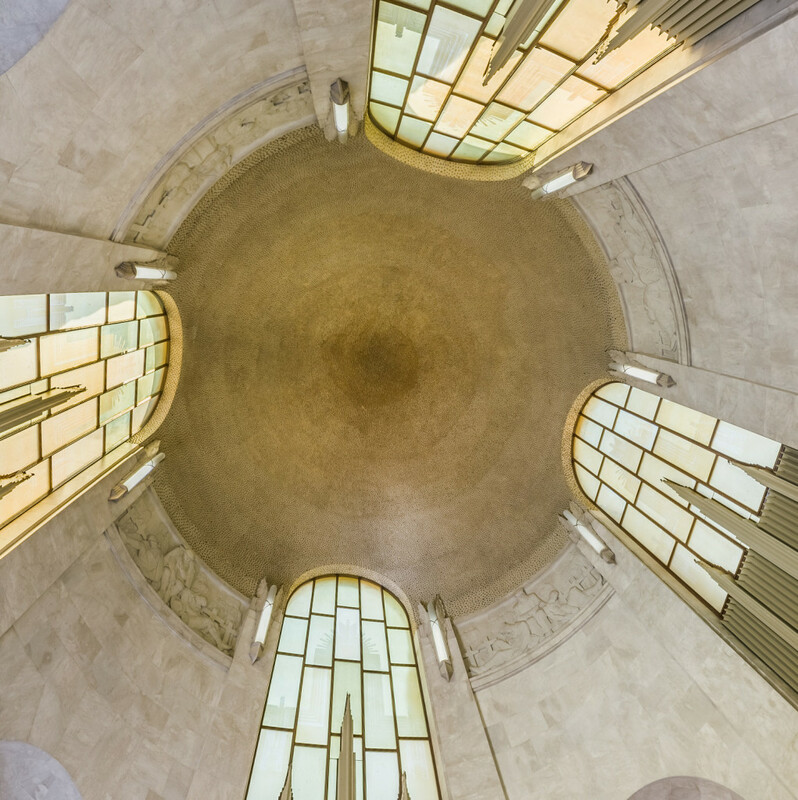 We had only a couple hours to do this shoot before the ANZAC Memorial was open to the public with no room for errors, we could only do a single quick test before the full gigapixel HDR shoot, that meant getting it right the first time…and we did.